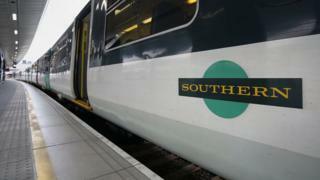 Southern rail drivers are to be balloted on a proposed deal to end their long-running dispute, Aslef has said. The proposed agreement also includes a five-year pay deal worth 28.5%. The train drivers' union said the offer would be put to members with a recommendation from its executive committee to accept. Aslef and Southern have been locked in a dispute over driver-only operated (DOO) trains since April 2016. The union's general secretary Mick Whelan said a resolution had been proposed on outstanding issues with parent company Govia Thameslink Railway over DOOs - also known as driver-controlled operated (DCO) - terms and conditions, and pay. "The proposed agreement on DOO means we will have a second safety-trained person on every train covered by this agreement, except in exceptional circumstances. "That person will have all the relevant safety competence including the skills to evacuate passengers in an emergency," he said. Ballot papers will go out to members on Tuesday with the result due to be announced on 8 November. The pay deal covers settlements each year from October 2016 to 2020. Mr Whelan said: "This proposed agreement has the full support of the negotiating team and Aslef's executive committee. "This is, we think, a complete resolution of our long-standing issues with Southern but it is, I must stress, company-specific and does not have implications for any other company on the railway network." Nick Brown, GTR's chief operating officer, said: "We welcome the Aslef executive's endorsement of the proposals we have negotiated to resolve the dispute. "We have concluded negotiations on pay, productivity and driver-only-operation in a package that will now be put to a referendum of Aslef members." The company has also been in dispute with the RMT union, whose members are mostly conductors. In a statement, RMT general secretary Mick Cash said: "Once again RMT has been excluded from these negotiations. "This is just a rehash of earlier company and government proposals that have been roundly rejected as unsafe."